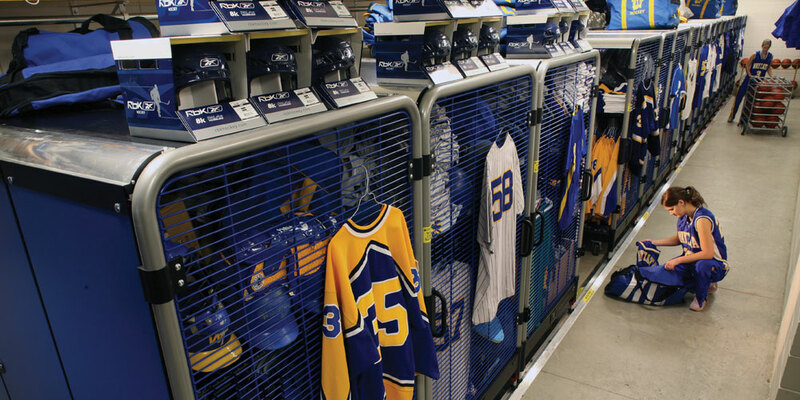 Economize Space – GearBoss Systems can store twice as much equipment in the same volume of space by reducing aisles and economizing cubic storage space. 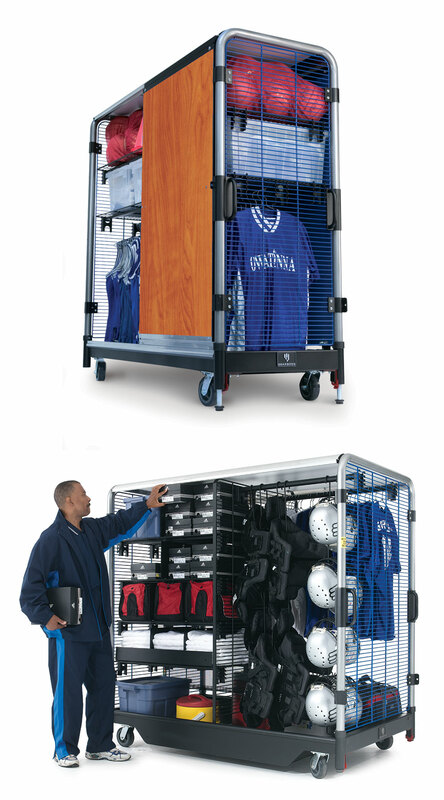 Flexibility – GearBoss carts can be rearranged and reconfigured as often as you need. 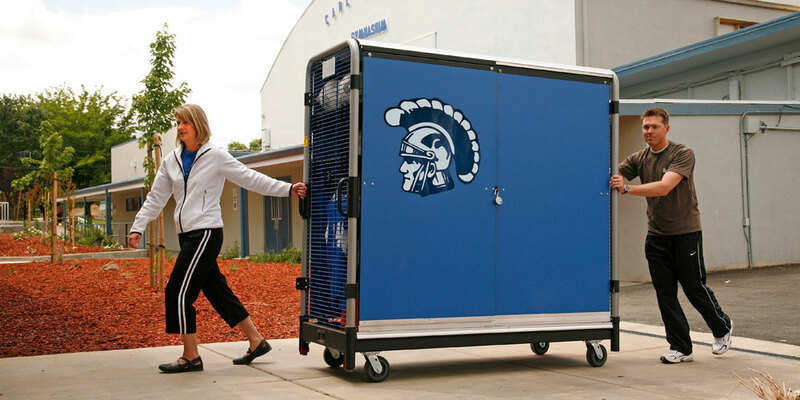 Mobility Made Easy – Team Carts roll right off the GearBoss track and can move an entire closet worth of equipment down the hall. 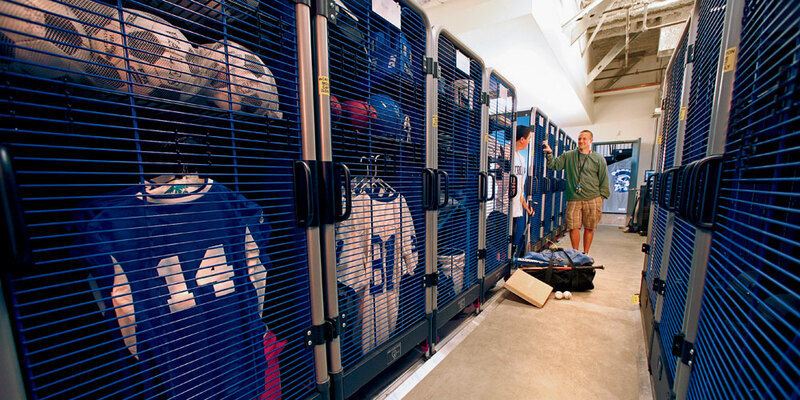 Security and Organization – Improve security, inventory control and oversight with a locked and organized room. 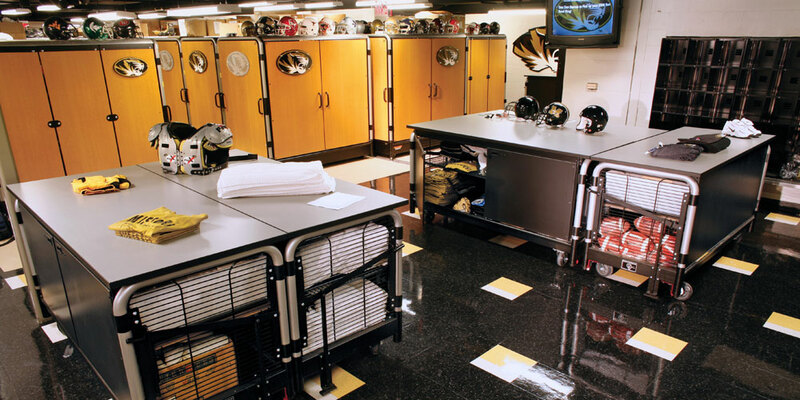 Show your Pride – Every space is a reflection of your program and with GearBoss organization and school colors you can take pride in your equipment room. 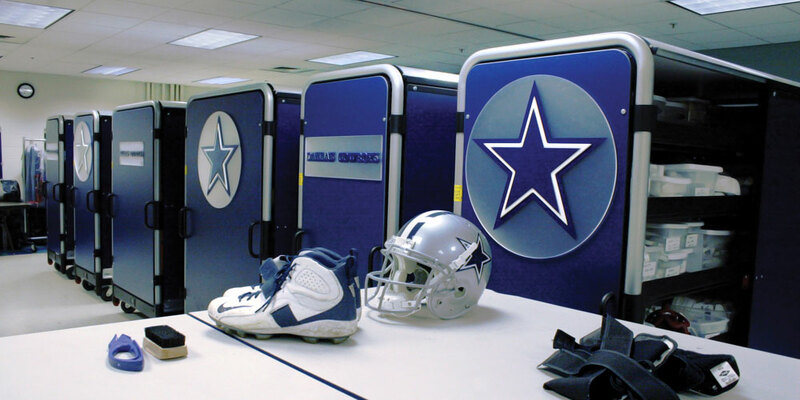 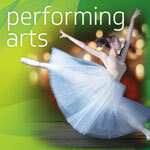 With GearBoss, we can control and monitor our equipment, and help keep our facility clean. 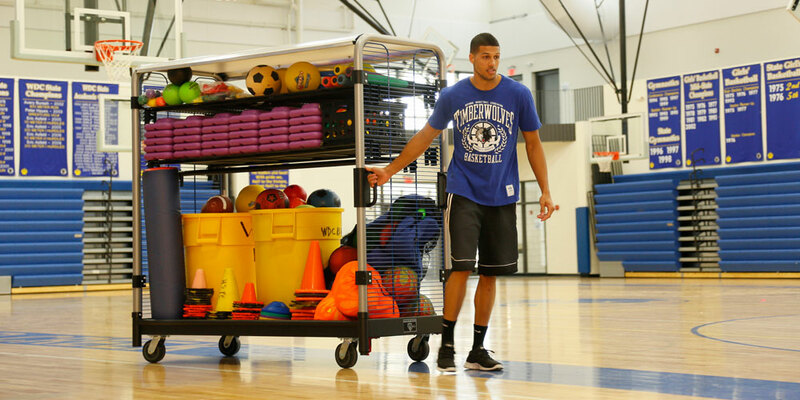 It fits each sport's needs — plain and simple. 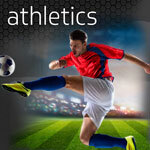 We've had no concerns with anything from Wenger — the products speak for themselves in terms of quality. 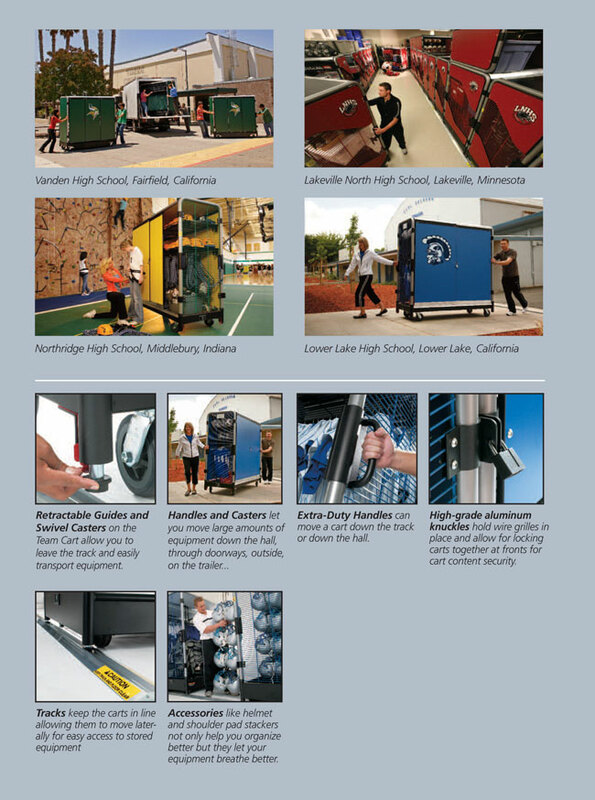 Durability and ease of use were the two biggest reasons we chose GearBoss. 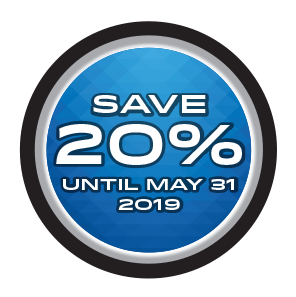 Everything's holding up and working fine. 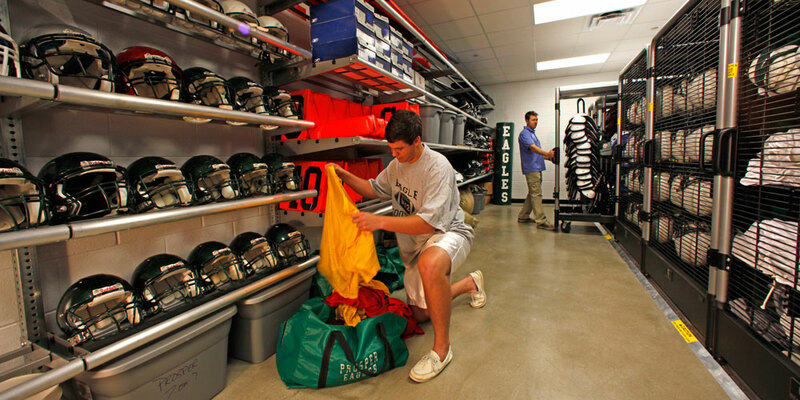 The GearBoss shelving makes it easier to organize the equipment room. 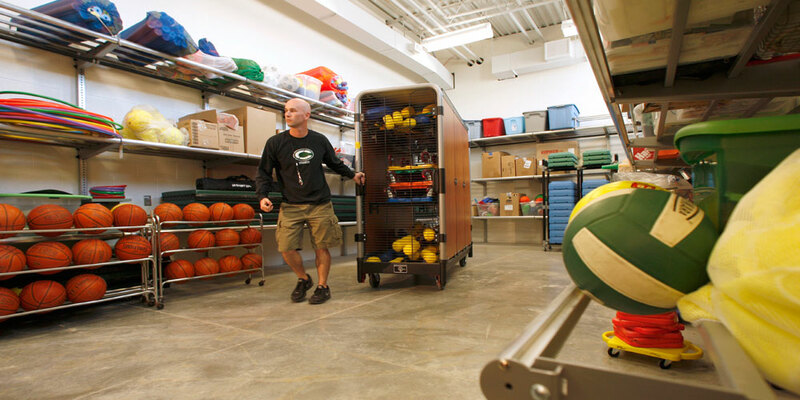 The Team Cart helps move big items out to the gym — there are hundreds of ways we can use it. Both are very nice to have. 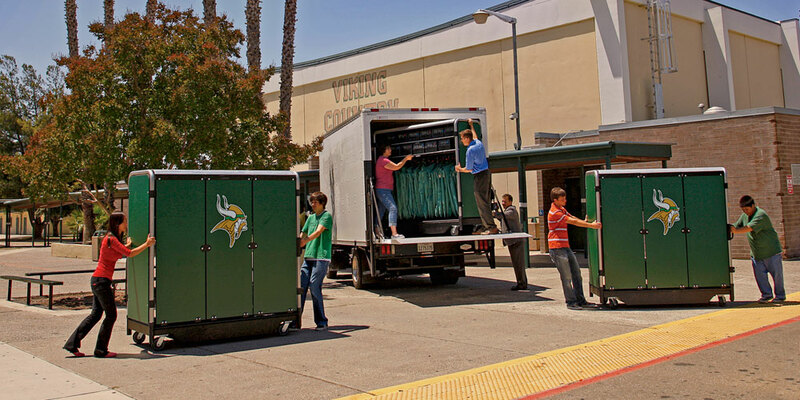 The GearBoss Team Carts are working out beautifully for our marching band — they keep the uniforms looking nice and the carts roll right into the trailer. 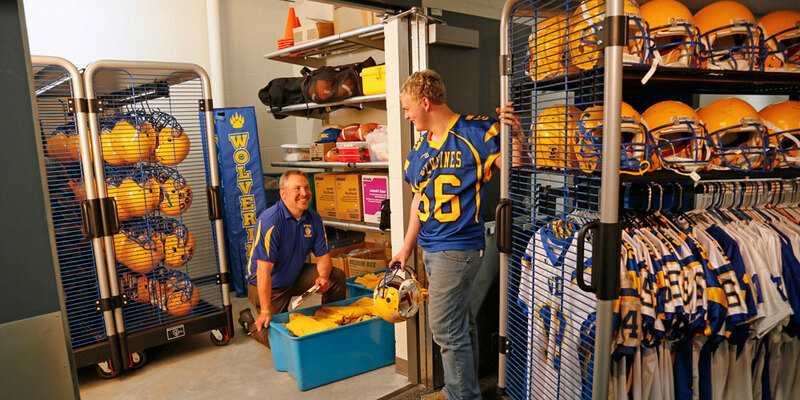 Our GearBoss lockers are definitely the 'wow factor' in our new field house — they're both beautiful and functional. 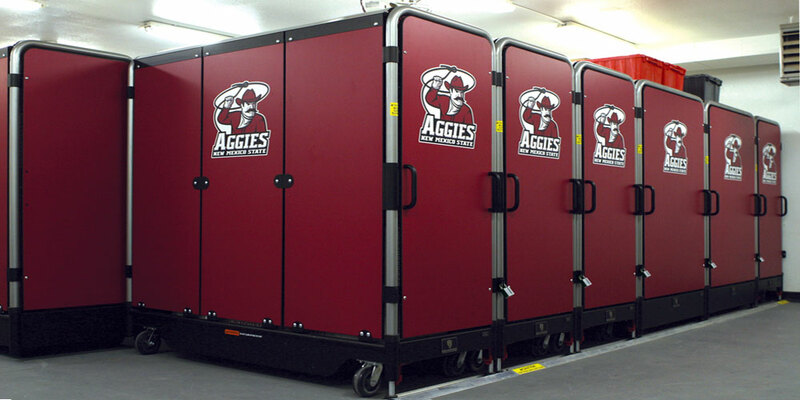 They offer plenty of room, improve sanitation and the built-in fans help keep the locker room fresh.